Languages: The official language of Romania is Romanian. Hungarian, Romany and German are widely spoken by the Hungarian (Magyar), Roma and Sasi (Transylvanian Saxons) minorities. Major political parties: Government: Centre right PD-L (Democratic Liberal Party); UDMR (Democratic Union of Hungarians in Romania); The National Union for Romania’s Progress (UNPR). Opposition: Centre-left PSD (Social Democratic Party); PNL (National Liberal Party) in coalition with PC (Conservatives). PSD and PNL have formed the Union of Socialist-Liberals (USL) to contest the local and parliamentary elections in 2012. Membership of international groupings/organisations: North Atlantic Treaty Organisation (NATO); European Union (EU); Organisation for Co-operation and Security in Europe (OSCE) (2001 Chairman-in-Office); United Nations (UN); International Monetary Fund (IMF); World Bank; International Finance Corporation (IFC); Multilateral Investment Guarantee Agency (MIGA); European Bank for Reconstruction and Development (EBRD); Bank for International Settlements (BIS); World Trade Organisation (WTO); Central European Free Trade Agreement (CEFTA); Council of Europe (CoE) (2005-06 Chairman); Stability Pact for South Eastern Europe. Exchange rate (January 2012): €1 = 4.36 RON; $1 = 3.29 RON; £1 = 5.24 RON. Following the collapse of communist rule in 1989, Romania underwent a long period of economic transition to a market economy. Compared to its Central and Eastern European neighbours, this process has been neither smooth nor particularly well-managed, and included two periods of economic recession and financial scandals during the 1990s. Since 2000 there has been more progress. An extensive programme of economic reforms has included the privatisation of a large number of state-owned enterprises and the restructuring of Romania’s energy, mining and industrial sector. The reform programme closely followed IMF requirements for fiscal restraints and economic restructuring, particularly in the energy sector. 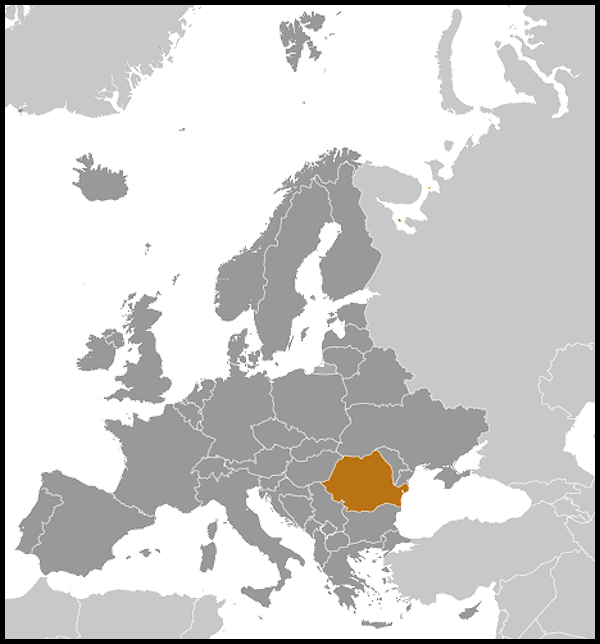 In 2004, the European Commission gave Romania 'functioning market economy' status. The economy grew at an average annual rate of 6% between 2000 and 2008, with a peak of 8.5% in 2004, mainly driven by strong domestic demand. There has been rising demand for Romanian exports of steel, cars, and light machinery. Agriculture represents about 8.1% of GDP but it is mainly subsistence farming. After 15 years of slow progress, the pace of reform has increased in the last couple of years. Direct payments from CAP and rural development funds are likely to raise living standards in the countryside as farmers and local authorities are eagerly applying for funding. Significant amounts of EU structural funding have been allocated for the 2007-2013 timeframe and despite a slow start in absorbing them, Romania is expected to reap the benefits and develop its infrastructure. 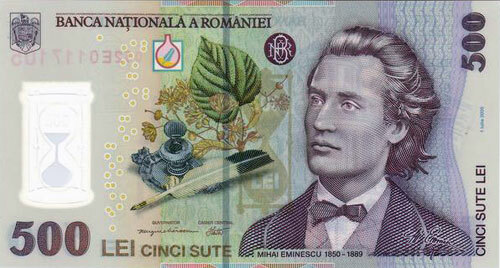 Romania remains well placed to resume a path of above average economic growth once the global crisis ends. It remains an attractive destination for foreign investment, particularly in sectors such as environment and renewable energies, IT and infrastructure. The Romanian economy increased by 2.5% last year better than many analysts expected, especially due to an excellent harvest. In 2012, the economy is expected to increase by less than 2% as exports to Western markets are slowing down. Romania attracted €1.5bn of foreign direct investment in 2011 (compared to €9bn before the financial crisis started). Romania’s programme with the EC and IMF remained on track. It is precautionary, and so far the Government has not needed to draw funds. The Government met the IMF's 4.4% budget deficit target for 2011. The 2012 deficit target is 3%. Fitch raised Romania’s rating to BBB- from BB+ in July 2011, back to investment grade for the first time since the crisis. Continued fiscal consolidation has recently improved credibility and lowered financing costs. Public debt is also relatively low at 39% of GDP although still increasing steadily. The health sector remains the most pressing problem given severe under-financing. With the IMF's backing, the government has prepared a new and draconian version of the claw-back tax applied on pharma companies’ sales, intended to control expenditure on drugs (although investors including Glaxo Smith Kline are concerned it goes too far in restricting their profitability). The problem of unpaid debts by state owned companies persisted in other sectors as well. Arrears have reached 5 bn euro or more than 4% of Romania’s GDP. The Government intends to continue to sell its shares in state-owned energy companies, with Transgaz and Transelectrica (two large energy distribution companies) next on the list. However in July 2011 the Government failed to sell its 9.84% stake in Petrom, Romania’s largest oil company owned by Austrian giant OMV, as less than half of the shares found buyers. The IMF has advised the Government to sell majority rather than minority stakes in state-owned enterprises, but this seems unlikely. President Basescu has reaffirmed Romania's objective to be ready for euro entry by 2015, retaining this as a fiscal and economic policy anchor. He is also keen on inserting a deficit target into Romania's constitution to show the country’s commitment to the European fiscal treaty. Central Bank Governor Isarescu also restated 2015 as the target date to meet eurozone criteria though this is not a goal to actually adopt the euro by that date. Romania’s public finances have been improving, thanks to the combined efforts of Basescu and Isarescu to hold the government to the IMF programme. This has secured Romania's credibility - now reflected in Fitch's upgraded rating - and protected the country from the worst of the economic crisis. However, the government's political as well as economic calculations were based on a return to strong growth in 2012, election year. This is looking less likely, with a lack of domestic consumption, flagging exports and slow spending of EU funds. The government needs to offer better prospects for growth, and may be tempted to reverse elements of the austerity programme. The banking sector could be hit hard if any of the larger foreign banks withdraws capital from a local subsidiary. Dacia, a region roughly approximating to present-day Romania, was incorporated into the Roman Empire in AD 107. After successive waves of invaders, Romania's three main regions, Transylvania, Moldavia and Wallachia, followed different paths of development until 1918. 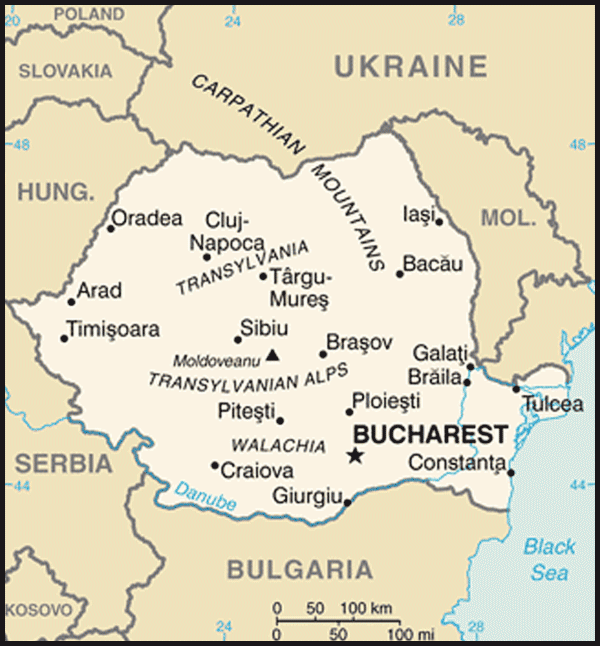 Romania gained significant territories in the post-World War I peace settlement, including Transylvania. In 1940, Stalin annexed Bessarabia to the Soviet Union and the Republic of Moldova was created. Romania thus began WWII in alliance with the Axis powers, but later switched sides. In 1944 Soviet forces entered Romania and forced the King to appoint a communist-led government. In 1947 the King was forced to abdicate and left Romania for London. From 1946 to 1989 Romania was ruled by the Communist Party, led after 1965 by Nicolae Ceausescu. Following a popular uprising in the Western town of Timisoara, which quickly spread to the rest of the country, the Ceausescu regime was overthrown and Ceausescu and his wife Elena were executed on 25 December 1989. In the aftermath of the revolution a committee known as the National Salvation Front (FSN) assumed charge of the country. Popular dissatisfaction with the new leadership who were seen by many as a continuation of the former regime led to demonstrations in 1990. A large, protracted protest in Bucharest was broken up by 10,000 miners leaving seven dead and several hundred injured. There still has not been a full explanation of why the miners took this action or on whose orders they acted. The first post-communist general election in May 1990 was won by the FSN and the first presidential election by Ion Iliescu. The FSN later became the Party for Social Democracy in Romania (PDSR) and won the general election in 1992. This government's performance was mixed. There was little progress in tackling corruption, reforming Romania's bureaucracy and introducing a market economy. However political pluralism and a vibrant free media did become entrenched. In November 1996, Emil Constantinescu of the centre-right Democratic Convention (DC) won the presidential election and a coalition government of the DC, centre-left Union of Social Democrats and the Democratic Union of Hungarians in Romania (UDMR) formed a new government. 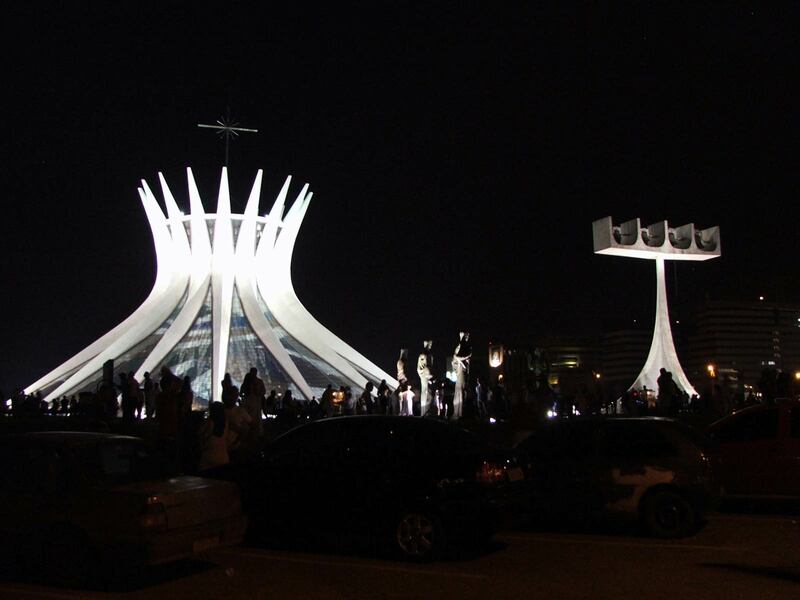 This coalition managed with some difficulty to remain together until the elections of 2000, but failed to perform well on the economy or the fight against corruption. Disappointment with the Constantinescu government led to the return of Ion Iliescu as President in 2000 who appointed Adrian Nastase as Prime Minister. The PDSR later changed its name to the PSD (Social Democrat Party). Elected on a platform of economic reform and integration with the West, Romania became a NATO member in 2004 and laid the foundations for accession to the EU in 2007. An opposition coalition formed by PD (Democrats) and PNL (Liberals) did however present voters with a real alternative to the PSD who were still considered by many to be a continuation of the pre-1989 regime. The emergence of the charismatic Democratic Party leader Traian Basescu who won the June 2004 local election to become mayor of Bucharest contributed to the popularity of the coalition. As a consequence, the PSD lost both the Presidential and General election elections in November-December 2004. Traian Basescu (PD) defeated Adrian Nastase (PSD) in the race to become President in December 2004. Shortly after, he nominated Calin Popescu Tariceanu, from the Liberal Party (PNL) to head a coalition Government between the Liberals, the Democrats and the Hungarian minority party. This centre-right alliance initiated a series of economic reforms like the introduction of the 16% flat tax or the acceleration of the privatisation programme. Romania benefitted from the global economic boom that led to large inflows of foreign direct investment. Living standards increased largely due to the cheap credit that fuelled a consumption boom. Corruption remained a problem as shown in the European Commission reports. The governing alliance collapsed in spring 2007 but the Liberals continued to run the country with the Hungarian party through a minority government, supported in Parliament by the Social-Democrats (PSD). Tension rose between President Basescu and PM Tariceanu leading to repeated political rows. Reform stalled and the Government lost control of public finances in the run up to the general elections in November 2008. After winning by the slightest of margins, the Democrats formed a coalition Government with the Social Democrats commanding a 70% majority in Parliament. The Liberals and the Hungarian party went into opposition. This coalition Government led by Democrat leader Emil Boc also fell apart in October 2009 after only nine months in power. With renewed legitimacy, and in an attempt to break the political deadlock, Basescu re-nominated Emil Boc as Prime Minister in December 2009. With prospects of early elections looming, a turn-around from UDMR, the Hungarian minority party, and a series of desertions from the two main opposition parties, the Liberals and the Social-Democrats, a coalition Government of the centre-right Democrat Liberals and UDMR was formed. It received Parliament’s vote of confidence and took office on 23 December 2009. In spring 2010 deserters from the two main opposition parties, including some big-hitters like Defence Minister Oprea and former Foreign Minister Diaconescu, formed a new political party called the National Union for the Progress of Romania (UNPR). Together the three party coalition control the majority in the Parliament. The Opposition made up of the Social Democrats, the largest party, the Liberals, and a small Conservative party formed an alliance with significant chances of winning the next general elections. PM Boc resigned on 6 February this year following the recent street protests and increasing pressure from the Opposition to call early elections. The Parliament approved a new Government led by Mihai Razvan Ungureanu. The new Government was backed by an alliance between the Democrat Liberal Party, the Hungarian Minority Party, the National Union for Romania’s Progress and several independent MPs. Ungureanu presented a Government programme aimed at continuing the reforms agreed with the IMF in the healthcare sector, the education sector, the fiscal system and social assistance. Increasing the absorption rate of EU funds is also high on the agenda. Ungureanu said that his government’s first priority was to increase the living standards of the population after several years of austerity. Romania joined the EU on 1 January 2007. Romania elected 33 MEPs in the European elections of June 2009. PD-L and the PSD-PC alliance got the highest number of seats (11 each), followed PNL (5 seats), UDMR (4 seats), Romanian National Party (PRM) (2 seats). Romania joined NATO in 2004 and hosted the NATO Summit in Bucharest in 2008. Relations between the UK and Romania are very strong. The UK supported Romania’s membership of NATO and was the strongest supporter of Romania’s accession to the EU in January 2007, providing technical assistance prior to and in the first years of EU membership. The British Council is active in Romania, with one of the busiest libraries in the world in Bucharest. The British Council also has operations in Iasi and Cluj-Napoca. Romania lies in SE Europe, bordered by Ukraine, Moldova, Hungary, Serbia and Bulgaria as well as by the Black Sea. The Danube flows along the southern border and forms a delta where it flows into the Black Sea. Romania has three historical regions: Wallachia to the South, Moldavia to the North-East and Transylvania to the North-West. Several large rivers, such as the Mures and the Siret, rise in these mountains whose highest point is Mt Moldoveanu, 2544m above sea level. The climate is temperate with hot, dry summers, punctuated by thunderstorms and showers, and cold winters with frequent snowfall, especially in the high mountains. Since EU accession, there has been growing interest from UK business in Romania, which has not diminished despite the onset of the economic crisis. Major factors include: access to over € 30bn in European funding, the potential offered by the second largest market in the CEE region after Poland, a skilled work force, strategic geographic positioning. The increasing availability of low cost flights also helped support this trend. The UK is Romania’s 10th largest inward investor with over €4 billion of investment and more than 4,200 UK companies on the market. Bilateral trade accounted for over € 1.9 bn in 2010. According to latest results, 2011 registered further growth: UK exports increased by 16% and Romania exports by 6%. The British Embassy in Bucharest represents British business interests through initiatives such as regional visits, in both the UK and Romania, aimed at identifying business opportunities and helping to find potential investors/trade partners; hosting trade missions to Romania; encouraging partnerships between regions and cities in the UK and Romania and working with the British Romanian Chamber of Commerce, and through its own British Business Group, which supports present and future investors in Romania. A high number of British companies benefit yearly from UKTI services in Romania and long term partnerships between Romanian and UK companies are regularly generated through the team’s initiatives. Main sectors of focus for the Trade Team in 2010 are: Water & Environment, Ports, Airports, Railway and Financial & Professional Services. These are kept under regular review. Additional important areas include agriculture (including agri-foods), education & training, oil & gas, engineering, power (including renewable energy), construction and security. Consulting (ARUP, Atkins, EC Harris, Halcrow, Hyder, Mott MacDonald, Pell Frischmann, RSK, Waterman Int, WYG, WSP), Energy (Aurelian Oil), Power (ABB, Aggreko, AMEC, Parsons Brinckerhoff), Oil&Gas (Melrose Resources, BP), Infrastructure & Construction (Mivan Development, Gleeds, Kier International, Chapman Taylor, Leach Rhodes Walker, YRM), IT (Endava , Betfair), Agriculture (PIC, BOCM Pauls), Aerospace (BAE Systems), Security (G4S), Automotive (Lomond Castings) Financial & Legal Services (Aviva, Provident Financial, RBS, Allen&Overy), Engineering (HI-LO Storage), Telecoms (Vodafone, Regenersis), Property (Dawnay Day, North Real Estate, Cheyne Capital Management, Willbrook Management), Food & Drink (Cadbury, Halewood), Pharmaceuticals (GSK) and manufacturing (EIMCO, Fusion, JCB, Vitafoam , Plastic Engineering). The UK is also active in the retail sector through household names such as Boots, Marks and Spencer, Debenhams, Mothercare and Next. Romanian President Traian Basescu is Head of State and was re-elected for a second consecutive (and final) five year term in December 2009. The next presidential elections will be held in November 2014. The current Prime Minister is Mihai Razvan Ungureanu. He is heading a 17 Minister strong cabinet that won the Parliament’s vote of confidence on 9 February 2012. Based on a coalition between the Democrat Liberals, the Hungarian minority party and the National Union for the Progress of Romania, it also includes two independent Ministers. The bicameral (two Chamber) Parliament consists of a Senate (137 seats) and a Chamber of Deputies (332 seats). Elections to both chambers of Parliament are held simultaneously every four years and the most recent were in November 2008. The voting system was changed in 2008 from a pure party list system to one whereby voters vote for individual candidates, so that only candidates achieving more than 50% of the vote are directly elected. Where there are no clear winners seats are filled through redistribution of Parties’ votes to the most successful of the candidates who polled less than 50%. Romania is divided into 41 counties (Judete), with the separate city of Bucharest forming a 42nd area. Each county is governed by a County Council (Consiliul Judetean) consisting of members elected by universal suffrage for a 4 year term. The President of the county council is appointed by the elected members of the council having executive responsibilities. A Prefect is appointed to each county by Central Government and is the Central Government representative at local level directing public services of the Ministries and other central agencies at county level. A Prefect may block action by a local authority if he/she deems it unlawful or unconstitutional. Although often acting as Party Political MPs before appointment, Prefects do not represent political Parties. Counties have their own responsibility for development planning, water supply, sewage, public transport, roads, social assistance for children, education. Villages and towns are administered by local mayors and councils elected by universal suffrage for four year periods. The county council co-ordinates the activities of town and village councils. Responsibilities include housing, urban development, environment, transport, water and sewage, local education (not university), heritage, public order, parks. Local elections take place every four years and the last were in June 2008. The situation of institutionalised children has improved dramatically since 1989. The Romanian government introduced new laws facilitating domestic adoption and child protection, but international adoptions continue to be forbidden. The number of children in public institutions has been significantly decreasing since foster care facilities have been introduced. Also, many orphanages have been closed down. Accepting diversity remains a major issue in Romania. Although Gay Prides have become regular uneventful yearly occurrences, surveys show that 1 in 2 Romanians reject people of different sexual orientations. Also, Romania does not allow civil partnerships, nor does it recognize civil partnerships signed in another country. The Romanian gay community announced it would notify the European Union in order to correct this situation. Romania is a source, transit, and destination country for men, women, and children trafficked for the purposes of commercial sexual exploitation and forced labour. Romanian men, women, and children are trafficked to Spain, Italy, Greece, the Czech Republic, and Germany for commercial sexual exploitation, forced begging, and forced labour in the agriculture, construction, and service sectors. The Government of Romania is making significant efforts to comply with the minimum standards for the elimination of trafficking. One of the priorities of the Government is to strengthen the institutional capacity of the National Agency against Trafficking in Persons (NAATIP) and to adopt the next Anti-Trafficking Strategy. The Emergency Transit Facility (ETF) in Timisoara is one of the two ETFs in Europe (the other one is in Slovakia) and has become a landmark and a model of good-practices, acknowledged by the UNHCR and by international institutions. It was Europe’s first evacuation facility of that kind, providing temporary shelter for refugees on their way to a resettlement country. The ETF functions on the basis of the Tri-Partite Agreement between UNHCR, the Romanian Government, and the International Organization for Migration, and it hosts displaced people up to 6 months.